* Leave the oil under your tongue (a.k.a. sublingually) for 15-20 seconds then swallow. * Mix with a bedtime tonic (honey, ginger, non-dairy milk), or in a warm tea. Tip: Because of our CBD Elixir’s natural healthy fats from organic hemp oil content, try mixing with honey, maple syrup, or another fat when adding to a beverage, though not required. After your first dose, most people decide they need more or less depending on how they feel. There is no right or wrong way to ingest CBD, navigate what feels best for you and your body, always. An average CBD ritual can be anywhere from 1 to 4 doses a day or more, divided or taken at once. As with any changes in self-care, usually it takes about 2 weeks to a month to decide what feels best. Our CBD Elixir is the essence of the whole hemp plant and full-spectrum oil, meaning there are many other therapeutic fellow cannabinoids, vitamins, terpenes and minerals beyond the CBD itself. This lends itself to our oil having a deep, earthy green tone and taste. Some people love it, some like to mix it with a natural sweetener of choice. 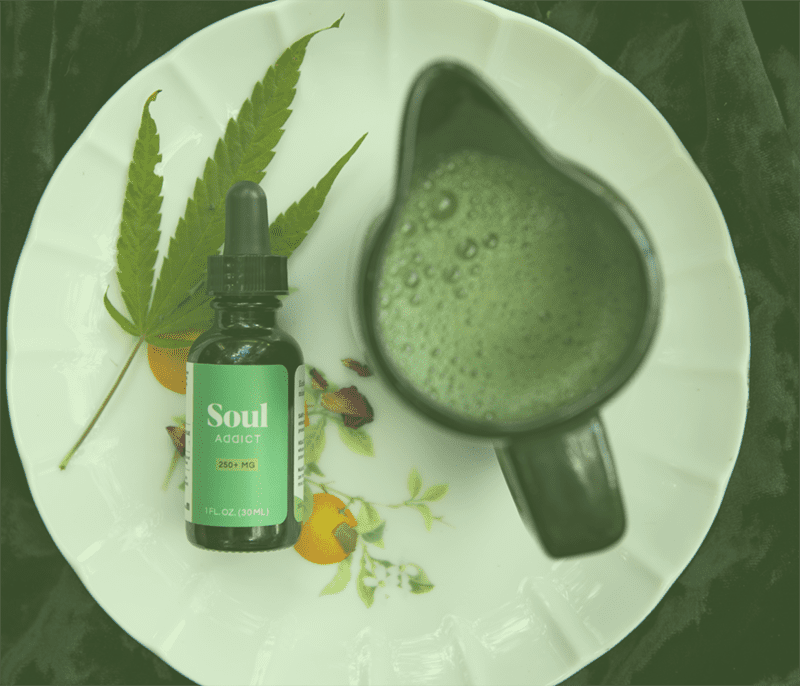 While we love taking CBD sublingually, you can also heighten any recipe by adding it to your coffee, tea, mixed in dressings, nut butter, chia pudding, overnight oats, smoothies, and raw recipes. Happy high vibes! Questions? Email us at hello@souladdict.co or DM us on Instagram @souladdict.co. We’re also happy to hop on the phone if needed.